We are a Winnipeg-based toner cartridge remanufacturing recycling company. We specialize in remanufacturing laser printer toner cartridges; We are not a wholesaler. 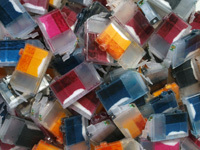 Our work focuses on recycled printing and supply cartridges for inkjets, laser printers, fax, copiers and much more. 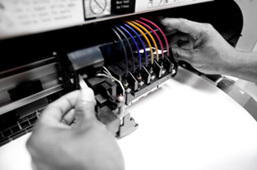 For the last 20 years, we have been providing support and servicing of printing equipment in Winnipeg and its surrounding areas. Canadian Cartridge Services Inc. is not a wholesaler and we do not sell compatibles. We believe high quality and outstanding customer service is more important than quantity and price. We will help you save your money and resources, all the while helping to protect the environment in the bigger picture. Did You Know Remanufactured Cartridges improve the environment? Once thrown into landfills laser printer cartridges take 1,000 years to decompose. The majority of printer cartridges are thrown out after use. An average toner cartridge requires around 3.5 litres of oil to be produced. Remanufactured toner cartridges reuse the components instead of disposing of them. At Canadian Cartridge, we have remanufactured over 100,000 laser cartridges; As a result, our remanufacturing process has saved over 350,000 litres of oil. Our main philosophy at Canadian Cartridge Services Inc. is QUALITY and SERVICE; not quantity and price. We believe that you have the right to use whichever equipment best suits your needs. That's why we carry Remanufactured and Original Equipment Manufacturer (OEM) Toner Cartridges. We further believe that you have the right to know what you are purchasing and that's why we clearly label and mark all our remanufactured toner cartridges. If it does not have our name on it, it is NOT ours. When used properly, a remanufactured toner cartridge plays a vital role in your office supply strategy. They can lower your overall cost of printing and because they reuse the original components, also help the environment. If you have never used a remanufactured toner cartridge or have had a questionable experience using one from another source, we suggest you give our products and service a try. You will not be disappointed.